Mr.Sharma is the Chief Executive Officer of Laxmi Laghubitta Bittiya Sanstha Limited (LxLB), a microfinance subsidiary of Laxmi Bank Ltd. (a commercial bank in Nepal). He has a Master’s degree in Business Administration and a Bachelor’s Degree in Agriculture. He also completed other professional courses such as Strategic Leadership for Microfinance (Harvard Business School, Boston USA), Boulder Microfinance Course (ILO, Turin, Italy) and Management Development Program (AIM, Manila Philippines). 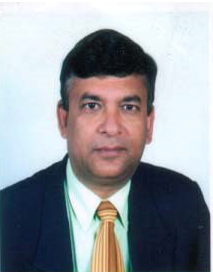 Mr. Sharma brings more than three decades of experience in Development Banking and Microfinance. As a microfinance practitioner, he is involved in developing, implementing and strengthening microfinance operations in Nepal and abroad. He has special expertise on Business Planning using MICROFIN, Formulating and Implementing Performance Based Staff Incentive Schemes and analyzing outreach and financial performance by ratio analysis. He is an active trainer and public advocate on issues related to microfinance such as sustainability, responsible finance and client protection. He has been used as a resource person on microfinance by different national and international network and organizations. Mr. Sharma is also the General Secretary of Nepal Microfinance Banker’s Association. Prior to joining LxLB, Mr. Sharma worked as a General Manager in Nirdhan Utthan Bank Limited (the largest MFI in Nepal) and Nepal Bank Limited (the oldest commercial bank in Nepal).